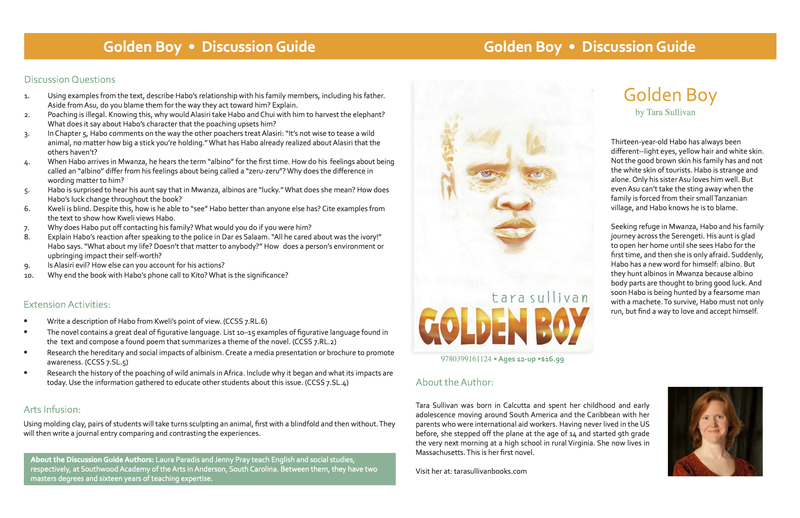 I am very excited to announce that I can unveil the teacher’s guide for GOLDEN BOY! I’m really, really happy with how it turned out. The questions range from easy find-the-answer-in-the-text to really pretty deep (“How does a person’s upbringing and environment impact their self-worth?”). And I love-love-love the Extension Activities & the Arts Infusion. A huge thank you to Laura Paradis and Jenny Pray of the Southwood Academy of the Arts for putting it together! Spoiler alert: some of the questions hit on key parts of the book.